“jasmine-like cereus”, with reference to the flowers in this genus, probably more related to the flavour of the flowers than with their similarity, but not specified by the authors. Flowers diurnal, not nocturnal as stated in Anderson (The Cactus Family, 2001) and Hunt et al. 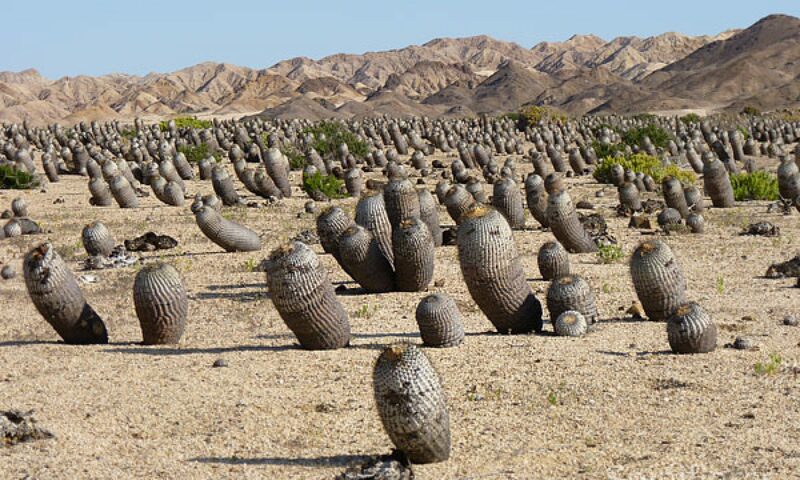 (The New Cactus Lexicon, 2006), self sterile, appearing on terminal stems, funnel-shaped, with woolly and scaly tube, opening only early in the morning, closing at about 11 am, pollinated by Xylocopa darwinii (an endemic carpenter bee), Acrosticta apicalls (an introduced fly) and Camponotus planus, an endemic ant (Jaramillo et al., 2010), with slender floral tube, with petals pinkish brown to chocolate-brown streaked with yellow. Fruits elongated, greenish, reddish to purple, at first fleshy, becoming hard when mature, almost naked, with white pulp, floral remains persistent. Seeds kidneyshaped, warty, brown to blackish, numerous. 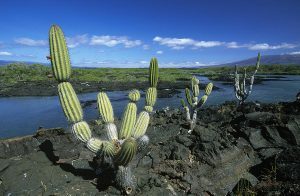 The monotypic gen us Jasminocereus grows endemically in the Galapagos islands, from sea level up to approximately 1000 m in altitude, often as isolated clumps on lava blocks, among bushes and shrubs, or in small colonies near the ocean, where they live associated among others with Opuntia echios var. gigantea and Brachycereus nesioticus.